Selected by Fady Joudah as a winner of the 2017 National Poetry Series, Jos Charles's revolutionary second collection of poetry, feeld, is a lyrical unraveling of the circuitry of gender and speech, defiantly making space for bodies that have been historically denied their own vocabulary. "i care so much abot the whord i cant reed." In feeld, Charles stakes her claim on the language available to speak about trans experience, reckoning with the narratives that have come before by reclaiming the language of the past. In Charles's electrifying transliteration of English--Chaucerian in affect, but revolutionary in effect--what is old is made new again. "gendre is not the tran organe / gendre is yes a hemorage." "did u kno not a monthe goes bye / a tran i kno doesnt dye." The world of feeld is our own, but off-kilter, distinctly queer--making visible what was formerly and forcefully hidden: trauma, liberation, strength, and joy. Urgent and vital, feeld composes a new and highly inventive lyrical narrative of what it means to live inside a marked body. 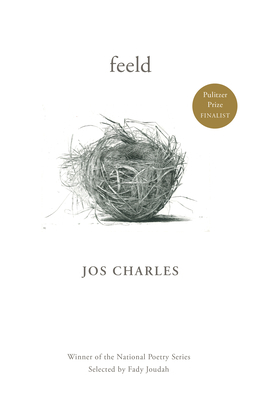 Jos Charles is a trans poet, editor, and author of the collection Safe Space. She is the recipient of the 2016 Ruth Lilly and Dorothy Sargent Rosenberg Fellowship through the Poetry Foundation and the 2015 Monique Wittig Writer's Scholarship. She received an MFA from the University of Arizona and currently resides in Long Beach, California.